Lately Dubspot has been lucky enough to have some great streaming workshops from folks across the pond. Between Silkie, Tunnidge and now Ital Tek, we’re getting ever closer to representing the enormous breadth of UK bass music. 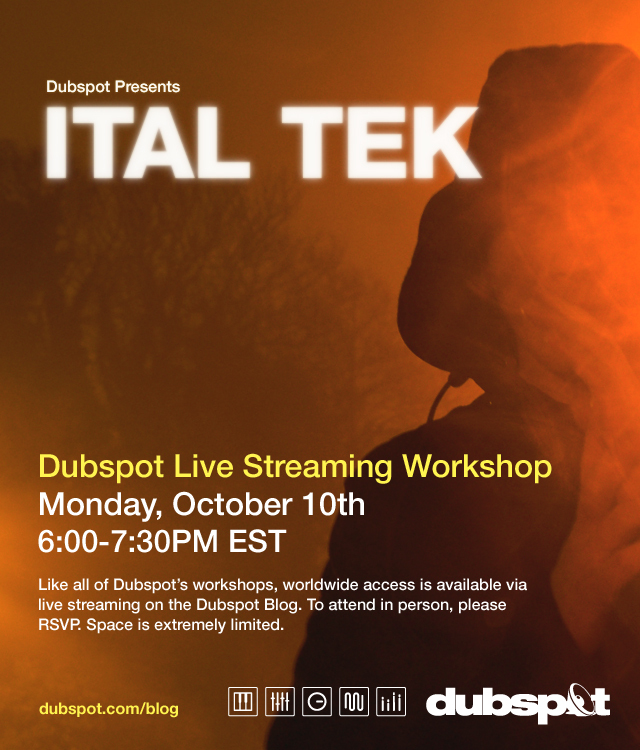 October 10th, @ 6PM (EST), Planet Mu recording artist Ital Tek will be here to talk about his workflow, as well as offering any tips and tricks he might have. His workshop may be particularly interesting for album-focused producers, as Ital has created cohesive albums in a market awash in singles and EPs. RSVP here to attend in person. Space is limited. If you can’t make it, tune in right here to attend from anywhere in the world. Released last year, Magic Colour is Ital’s second full-length for Planet Mu, and finds the producer in a mostly introspective sonic space. Half-steps fall with an airy bounce, and bass lines often purr rather than roar—resulting in a dynamic collection of melodies and rhythms that traverse both a sense of weight and a sense of ease. 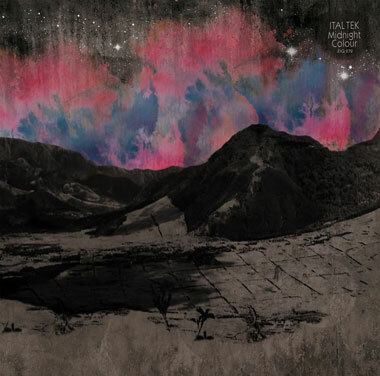 On Magic Colour’s notable stand out “Babel,” thin bleeps contrast pithy synth lines that rise and fall over sharp drums. The result sounds like a conversation between machines, while the title suggests they may be having trouble communicating. 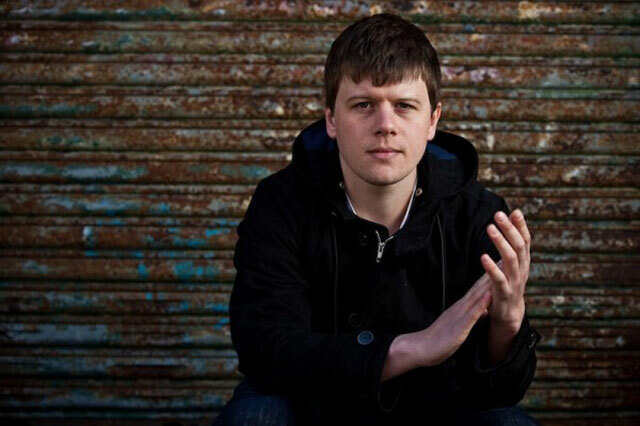 One of Ital Tek’s best examples of unifying the abrasive and the tranquil comes on his track “Archaic,” released in 2008. The song begins gritty, drawing easy comparisons to Vex’d’s dystopian aesthetic, but a part from sinister drums and a big incessant bass line, the track occasionally opens into ethereal synthscapes worthy of their own beat-less ambience.